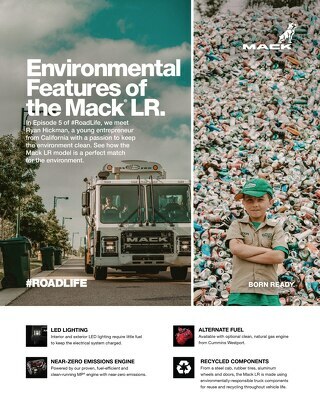 Learn more about the Mack products and customers featured in #RoadLife: a new series from Mack about the everyday men and women who keep the wheels turning and the world moving. Watch full episodes at roadlife.tv. 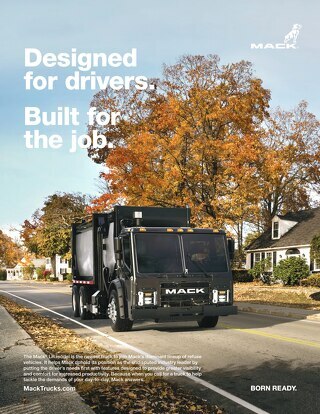 Green runs deep at Mack Trucks, too. In addition to sporting a near-zero emissions engine, the LR model features LED lighting that uses less energy, as well as aluminum wheels and a steel cab. 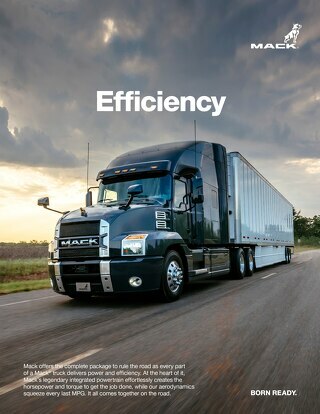 Learn how the mDRIVE automated manual transmission helps with driver retention. Driving a truck gives Killer freedom. 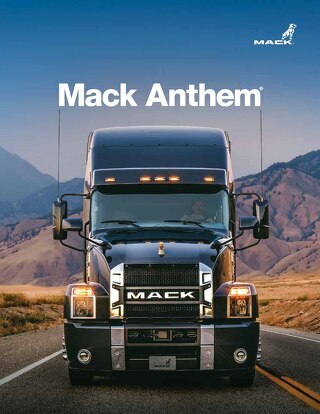 Driving an Anthem gives her an identity. 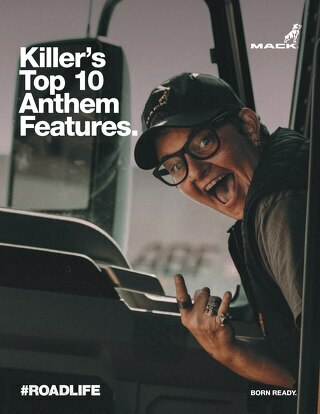 Read Killer’s Top Ten. 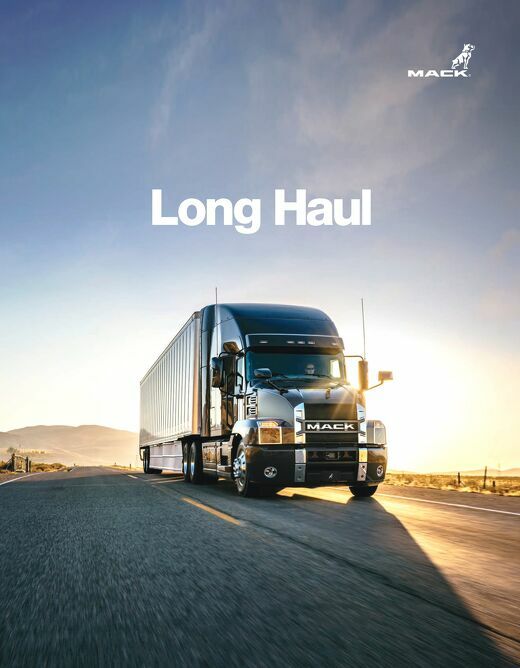 Command the road in total comfort. 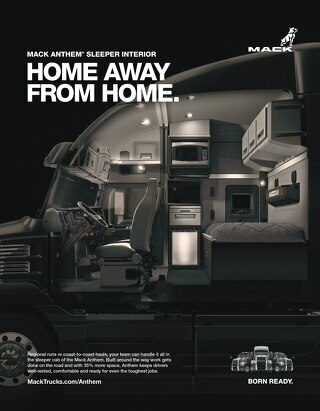 See how the Mack Anthem is designed to give drivers complete confidence and control in the cockpit. For almost 120 years, we’ve built our trucks right here in America. No one else can say that. 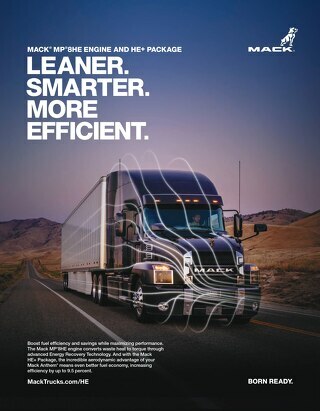 Mack’s integrated powertrain not only transforms horsepower and torque into the power to rule the road, it also provides the foundation for excellent fuel economy. Driving a truck in a big city is never boring or easy. 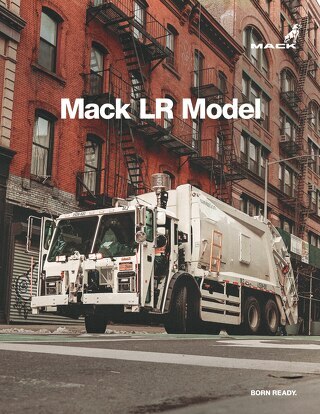 Read how companies in NYC keep the city moving with their Mack trucks. 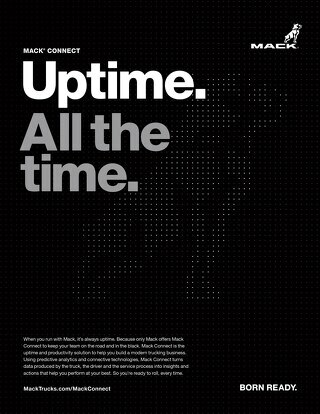 When you run with Mack, it’s always uptime. 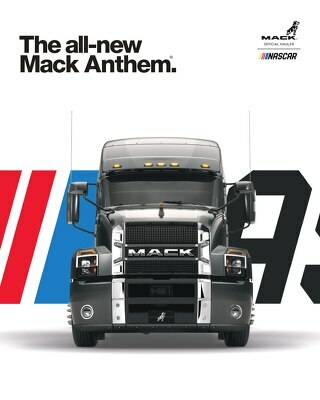 Because only Mack offers Mack Connect.